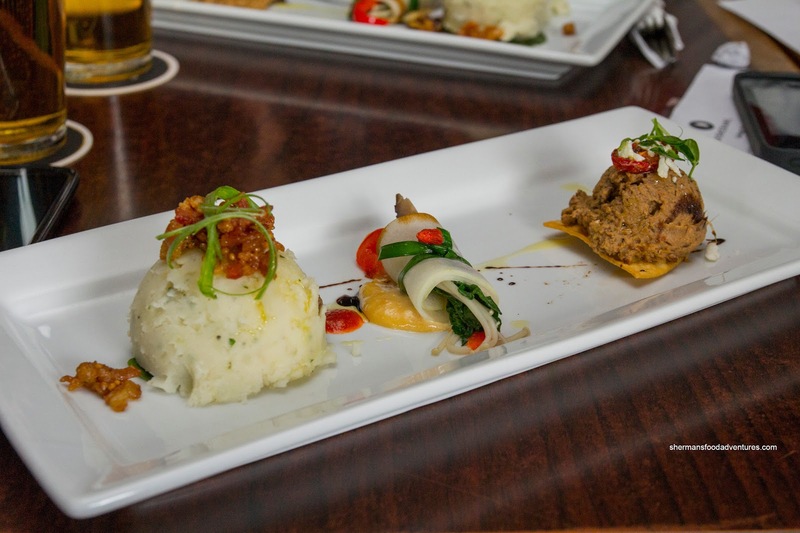 Have you ever dined at a restaurant and wanted to leave after one dish? 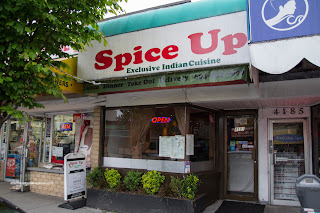 Were you yearning for variety or was the food boring? 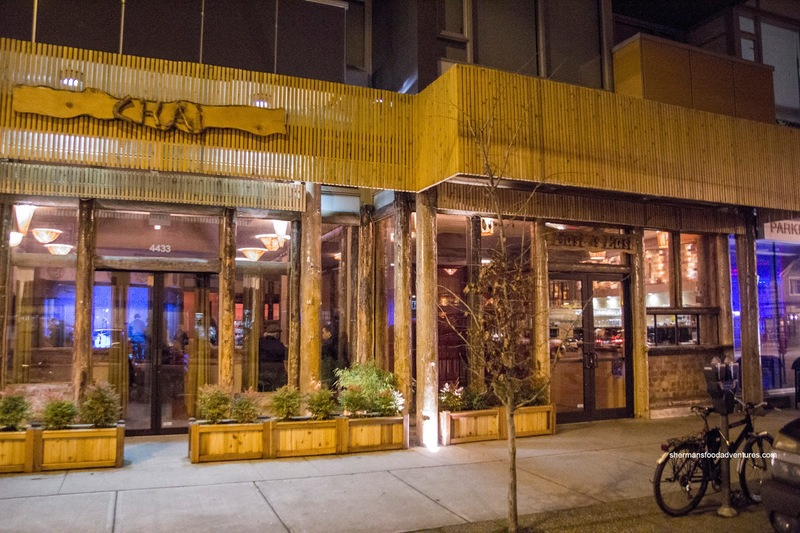 Well, maybe a Dishcrawl is more up your alley. Instead of staying put for a multi-course meal in one restaurant, one can experience 4 dishes in 4 different restaurants. 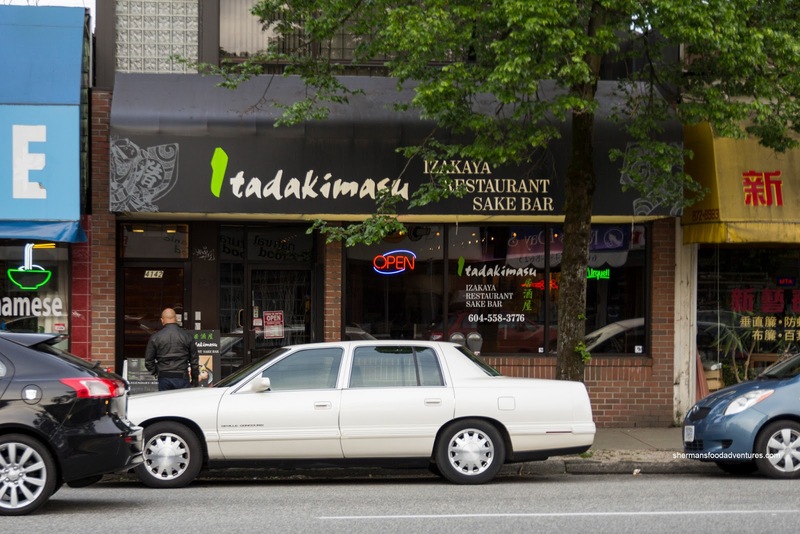 It's somewhat related to a food tour, but instead of little bites, we're talking about an actual progression of dishes. I've already been to the Gastown Dishcrawl and once again, I was invited to experience their Main Street version. 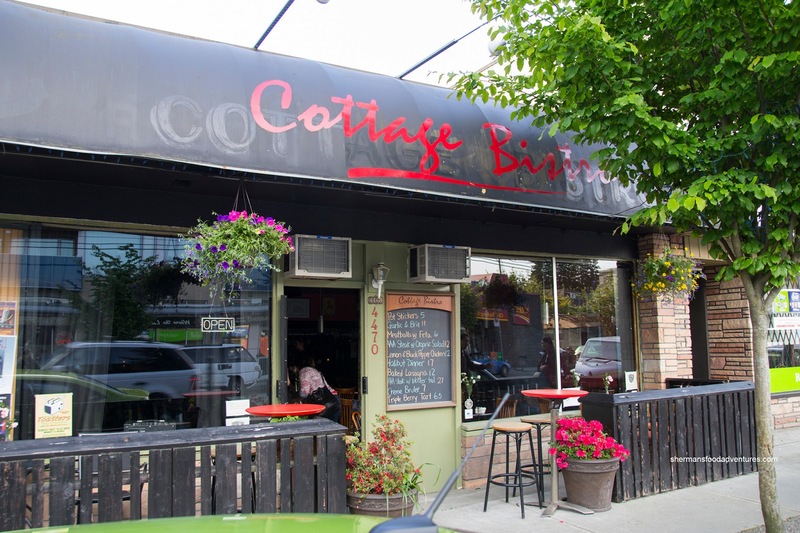 We started at Cottage Bistro where we were presented with a plate of 3 items. It included Jazzy Potatoes (herb flavoured, bacon jam with mustard seeds, JD and sunflower seeds), Mao Gua Maki (shiitake, enoki and greens wrapped with melon atop a miso aioli) and Spicy Eggplant Tartini (double-cooked and blended with artichoke, olives and banana peppers). I found the potatoes more starchy than fluffy while the jam was spicy and sweet. I didn't get much of the Jack Daniel's though. I liked the fuzzy melon wrap as the veggies were crisp and there was a certain brightness that worked well with the salty and sweet thing going on. I really liked the fluffy eggplant that exhibited a nice spice level. Next, we took a stroll down to Spice Up where we were presented with a platter consisting of Vegetable Samosa, 9 Bean Salad, Eggplant Bharta, Parantha and Butter Chicken. 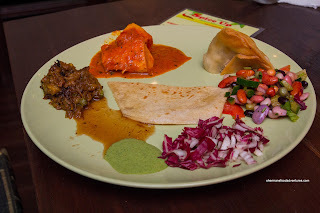 I liked how the samosa was not greasy while still exhibiting a nice crunch which yielded to a soft potato filling. I wasn't fond of the bean salad as they were too firm for my tastes. The butter chicken was made with fresh tomatoes which in turn made the flavours very mild, yet fresh. I liked the big moist piece of chicken though. The eggplant was my favourite item as it exhibited a wonderful smokiness. 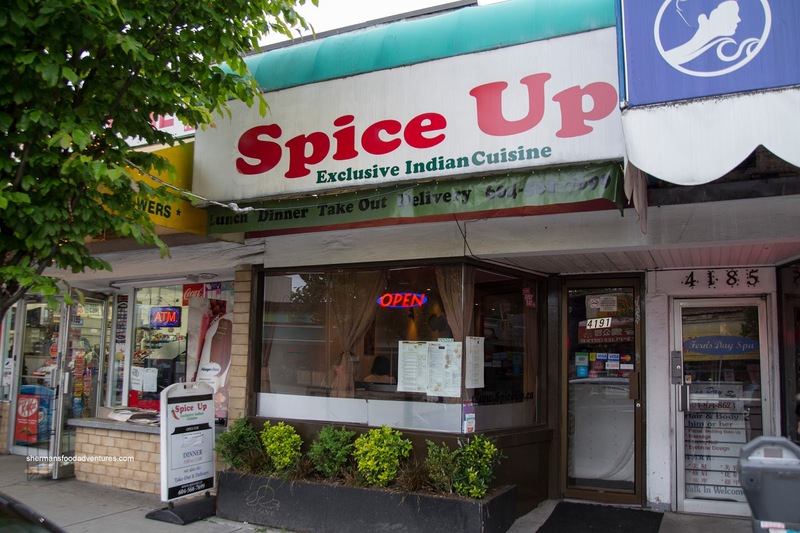 It was further amped by elements of spice, savoury and zestiness. It was a veritable flavour explosion in my mouth of moist eggplant. 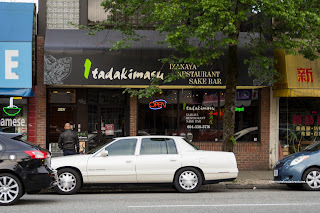 Taking a walk across the street, we ended up at Itadakimasu Izakaya which I had just recently visited. 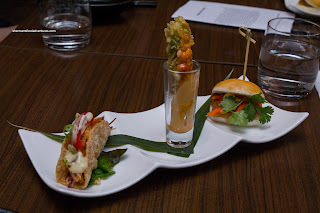 Still fresh in my mind, we were presented with 3 familiar items consisting of the Tuna Tataki Taco, Ebi Mayo and Pork Belly Bun. Much like last time, the rare tuna and Asian coleslaw rested in a light and crispy taco shell. Due to the amount of time from frying and then hitting the table, the tapioca flake encrusted ebi was a bit cold. Too bad as the hot version would be crunchy and kissed with a sweet chili mayo dressing. Unfortunately, the mantou had dried out and gotten cold by the time we sampled it. Last time, it was fluffy and lightly crispy on the top where it contrasted the soft pork belly nicely. 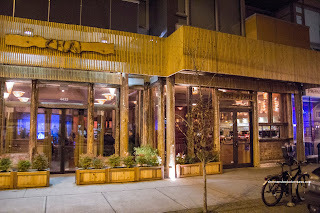 Our last stop was dessert at East is East. 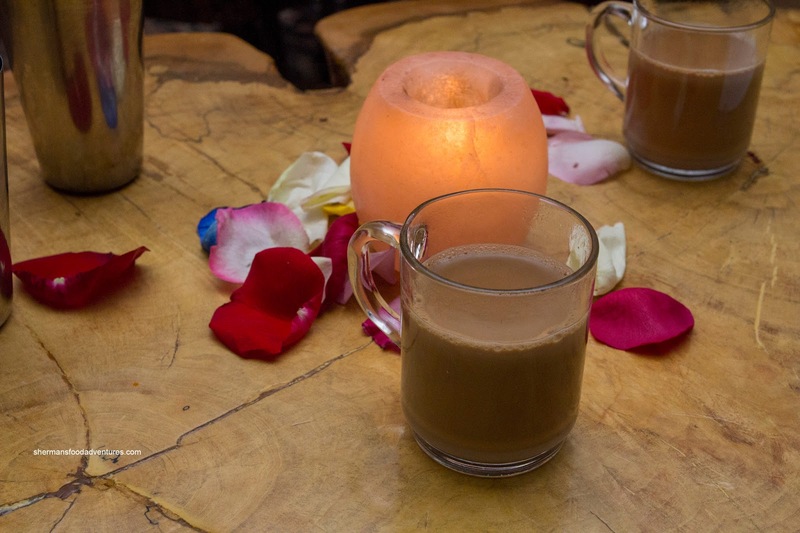 We were presented with Chai to start and it was sweet to begin while finishing off with spices. 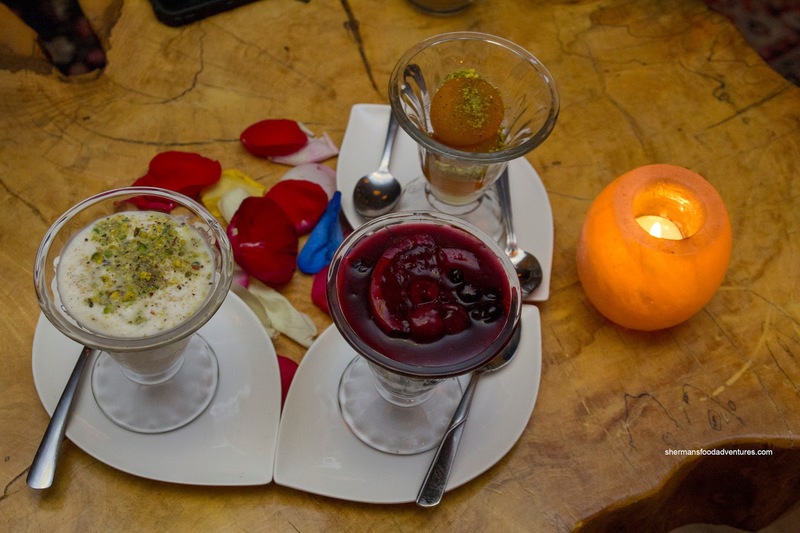 Then the 3 desserts arrived consisting of Persian-Style Rice Pudding, Vegan Chocolate Pudding and Gulab Jamun. With pistachios and cardamom, it had this kulfi thing going on, which was good in my opinion. The chocolate pudding was okay, but I've never been a huge fan of it. It was gritty and had far too much berries on top. But it's vegan and I'm sure some people love it. And call it personal tastes, I'm not a huge fan of gulab jamun either. With that being said, this one wasn't incredibly sweet, so I ate it. Besides, I love East is East, so it was nice to end there. Not a bad Dishcrawl, definitely enjoyable and diverse.